Primeval Labs is a solid supplement company making a wide variety of supplements.  We here at Fitness Informant have not had a lot of experience with them, but were excited to get them on the website and our YouTube channel. We got to start out with Isolit, their whey protein isolate formula. Isolit is a delicious protein powder that mixes nicely and gives you the benefit of 25g of protein along with 25mg of digestive enzymes for gut health. Overall, we really liked this product and what it had to offer and their flavoring was on-point. If you want a solid tasting protein powder – Isolit makes the list! We reviewed Primeval Labs Isolit protein powder on five categories. We first start by looking at it’s ingredient profile. This portion of the review looks at quality of protein used, amount and other ingredients involved in the making of this protein powder. Then we move into the taste of the different flavors we’ve tried. We grade each flavor separately and average the scores for their overall taste rating. We were able to test out Caramel Latte. Not all protein powder is created equally. More and more companies are customizing their protein powder offering by adding in ingredients like digestive enzymes – which is what Primeval Labs did with Isolit. Let’s start off by looking at the macros. We get 25g of WPI. That is 83% protien per serving which is solid. WPI is at least 90% protein, so it would be nice if that 25g is at WPI90 which means it would yield 22.5g of total protein – one area we are not sure on. Fats are at 3g – this is not surprising considering they use Coconut Oil as the 2nd ingredient behind WPI. Carbs come in at 2g. The macros are respectable across the board. A little more fat than we are used to seeing in a WPI. Regarding other ingredients, Primeval Labs uses 25mg of DigeSEB Plus, a digestive enzyme complex designed to help break down the proteins after they are taken. The quicker and better you can digest protein, the faster it can be converted to amino acids and absorbed into your blood stream. This is a nice addition. We are seeing more and more of digestive enzymes or ProHydrolase in proteins. The one area that stands out to us is the use of Jerzee Blend. This is a creamer used for consistency and flavoring. They definitely wanted to produce a protein powder with superior flavor, in order to do that, they added things like Corn Syrup Solids and Jerzee Blend. Overall, this profile is awesome. I could do without the Jerzee Blend or Corn Syrup Solids, however, but thankfully they are in at low amounts – we would think. One of the fastest absorbing proteins is WPI – Whey Protein Isolate. This is a nice WPI product with 25g. This should be effective as a standalone. What makes it even better is the addition of DigeSEB Plus for the breakdown of the protein. The one thing you will notice about this protein is the fact you get absolutely no bloating or feeling of being weighed down by your protein. The effectiveness is generally an extension of your profile – the Corn Syrup and creamer doesn’t add or takeaway from effectiveness, but quality protein and DigeSEB Plus adds to it. Overall, a nice protein powder that will be effective. With the use of Corn Syrup Solids and Jerzee Blend, you would expect this to be a better tasting protein powder, and it is. It was nice to get something different from your vanilla and chocolate. Caramel Latte was something that tasted as you would expect, like a caramel latte. My wife, who is extremely picky, even enjoyed this flavor (she has hers in milk). If you’re a fan of caramel anything, this will be great. The fact it is a 2lb container helps because I don’t like committing to 5lbs of any flavor in particular. One thing about whey protein isolate powders is that they mix extremely well (see video for demo). Isolit is no different. This is an excellent mixable protein powder I was very impressed with. I mixed it with approximately 8-10oz of water only, and no issues what-so-ever. A lot of 2lb whey protein isolate proteins retail for around $40. That’s where we find Isolit coming in as well. This is a solid protein powder with the addition of the digestive enzymes that puts it a step above the competition with that addition. For $40, you are getting yourself a solid, high quality WPI.